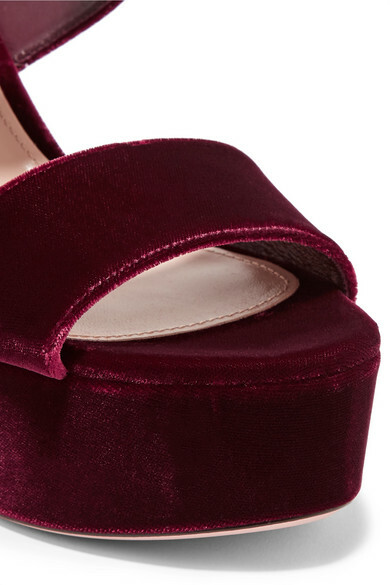 Prada's sandals have been made in the label's Italian atelier from plush burgundy velvet. 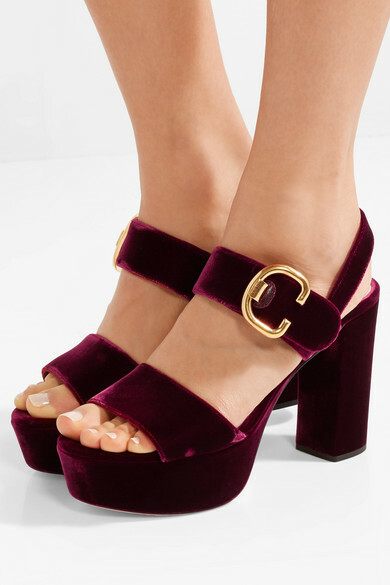 They have a polished gold buckle embellishment along the strap and are set on a high block heel that's balanced by a study platform. Wear yours with a pencil skirt or cuffed denim. 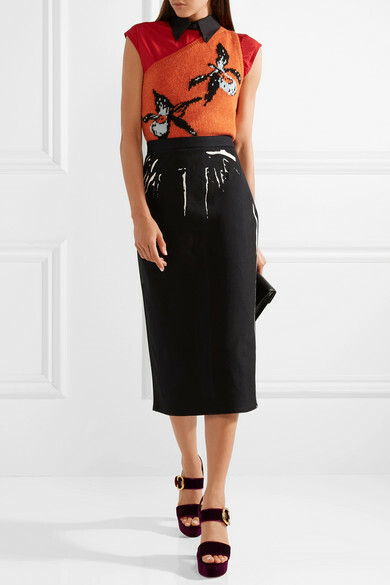 Shown here with: Prada Shirt, Prada Sweater, Prada Skirt, Prada Shoulder bag.